In recent years the role of test and reserve has become pretty meaningless, the strict limits on testing meaning that the role usually sees said driver pounding out the laps in the simulator rather than on track. 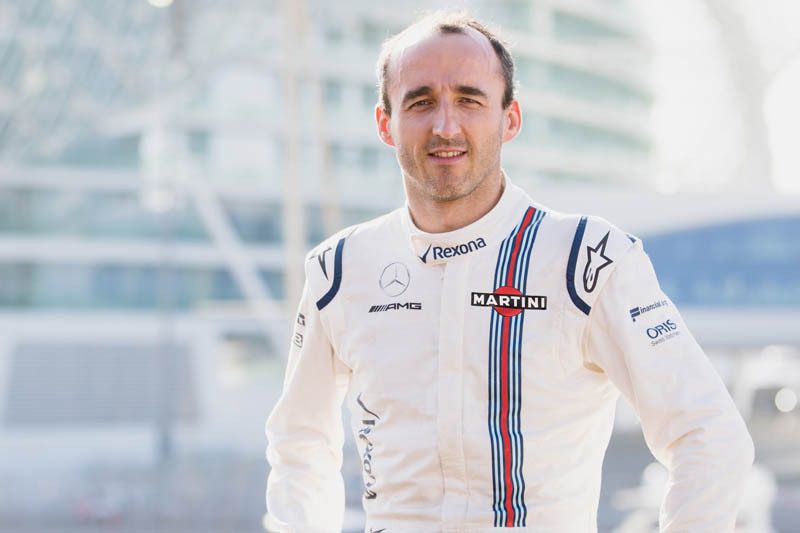 However, speaking at the unveiling of Williams 2018 contender in London, popular Pole, Robert Kubica, confirmed that he will be driving the car on track this year. "I will do three FP1s," he told reporters. "I will start in Barcelona, then I think Austria and then another one. "I will do some pre-season testing and in-season testing," he added. "It was important to have the chance to drive. Currently the regulations are such that driving is limited." Admitting however that much of his time will be in the simulator, he said: "The simulator plays an important role, as I am part of this project it is important to build up a link between this tool and the real world." The Pole, who was among the very best on the grid until a horrific rally crash in 2011 almost ended his life, though still seeking a regular race seat insists that in the meantime he will focus on working to the best for his team including mentoring its drivers. "Of course they make their job and I will for sure try to support," he said, "but I will never be in the position to teach them unless they think I can help them. The most important thing is to help the team and support the team, otherwise I wouldn't be here." Looking at the FW41, he smiled and admitted: “Of course I would prefer to be here as a race driver but if you look at it from a different perspective, and you see where I was twelve months ago, nobody thought I would be in a position to drive an F1 car. "It has been a long journey, seven years away from the F1 paddock, so the feeling will be a bit different. There will be a lot of emotions going to grands prix, visiting the places that gave me a lot in my life will be a special moment." Check out our Williams FW41 gallery, here.